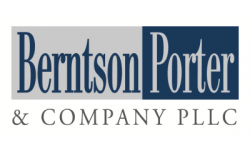 Founded in 1985 by Bob Berntson and Greg Porter, Berntson Porter has grown to one of the largest accounting firms in the Puget Sound region. Today, our firm has over 95 employees and serves clients throughout the Pacific Northwest, the country and the world. Our extensive network serves clients across the globe, helping them expand nationally and internationally. At Berntson Porter, we strive to create a great experience for our clients through our comprehensive service offerings. We provide excellent customer care through the pursuit of growing, learning and continuous improvement, while acting with compassion and humility. We strive to make an impact not only within the companies and industries of our clients, but within their personal lives as well. Business is not just a transactional relationship at Berntson Porter; it is about supporting, respecting and partnering with our clients first and foremost as people.